Supercharge your next vacation in Miami with an exotic convertible rental. There are plenty of fun car rentals such as the Lamborghini Aventador Roadster, Lamborghini Huracan Spyder, Ferrari 488 Spyder, Ferrari 458 Spyder, Mclaren 650 S Spyder, Ferrari California T, Porsche 911 Cabriolet, Audi r8 Spyder, and the Corvette Stingray. If you want to rent a fast car you found the right place. The most executive car hire service in Miami. Drive your favorite exotic convertible down to south beach. Get FREE delivery to MIA airport with any exotic rentals. If your looking for fun car rentals try our convertible car rental Miami. 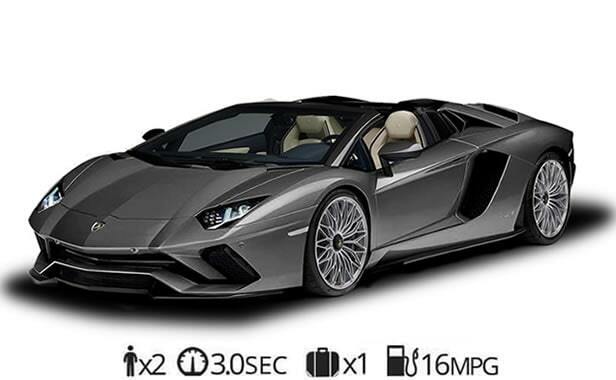 Rent a Lamborghini Aventador Roadster today! It’s the flagship model for the Italian sports car manufacturer for good reason. The Aventador Roadster is also the only convertible Lamborghini that comes equipped with the signature Lamborghini doors. If you’re looking to make a big entrance on your next trip to Miami then this is the convertible rental you should reserve. Drive this Italian masterpiece for a day or for the whole weekend. The latest convertible car rental in Miami. This spaceship looking design comes back with the top off. 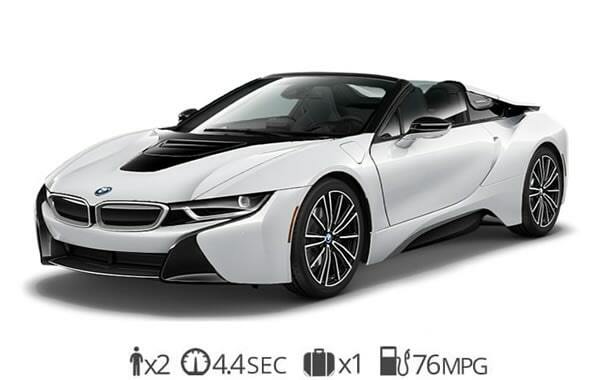 Rent a BMW i8 roadster in Miami for a day, weekend or even weekly. The coolest looking exotic convertible rental with a convertible top and cool looking doors. Our exotic car rentals in Miami are just a phone call away. Drive the latest hybrid supercar this weekend at Luxurymiamicarrental.com. It is one of the most requested Ferrari rentals. A popular choice of our clients when visiting Miami. Our Ferrari 488 spider rental service is always in high demand. We encourage our customers to reserve this beautiful Italian stallion in advance due to it being a popular convertible rental. 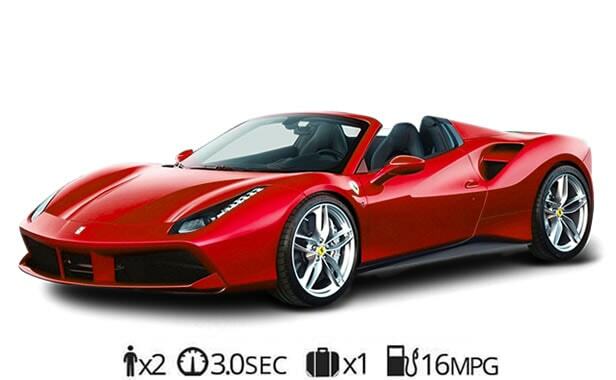 We offer short term and long term rental deals on the 488 spider as well as one-day rentals. Rent a Ferrari 488 spider in Miami today! The 650s is the most futuristic convertible for rent in Miami. It has the cool looking butterfly doors that open upward similar to the Aventador. Like with most of our exotic convertible car rentals you’ll only have space for 2 people and be limited with storage space. 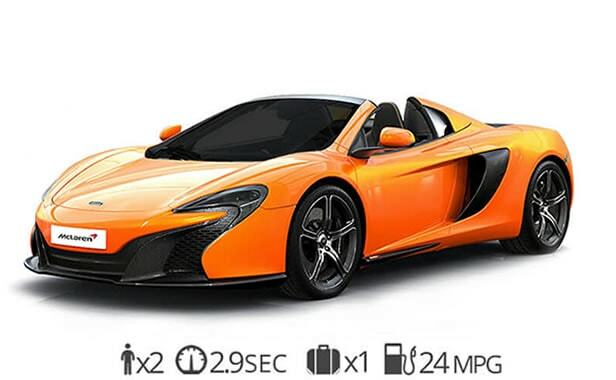 Try our Mclaren rental service the next time you’re in Miami. We offer specials for weekend and weekly rentals as well as FREE delivery to Miami international airport. 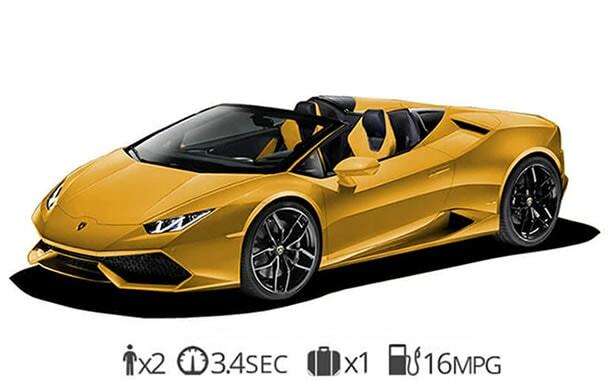 The new Lamborghini Huracan Spyder is a beautiful car to cruise down South Beach in. Our customers say it’s one of the most fun exotic car rentals. The Huracan seats 2 people and barely has room in the front for a carry-on bag but who cares. This exotic convertible is easy to drive and sounds great. Make a bold statement when you arrive in one of our Lamborghini rentals. If you’re looking for bang for your buck this the most affordable Lamborghini for rent. The California T is both convertible and hardtop. It is an elegant exotic car that has Ferrari written all over it. Don’t be fooled by its sophisticated design the Ferrari California packs a twin turbo engine that does 0-60 in just 3.3 seconds. A great option from our convertible car selection. 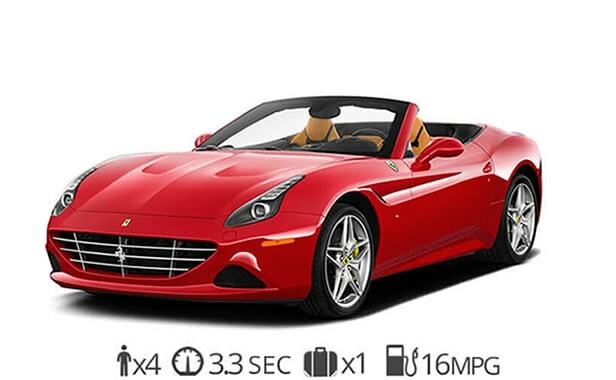 Push your vacation to the limit in a beautiful red Ferrari California T. It seats 4 people although the rear seats are a tight fit. Make a bold statement at your next event with this prancing horse. The quintessential sports car that has been around since the 1960’s. 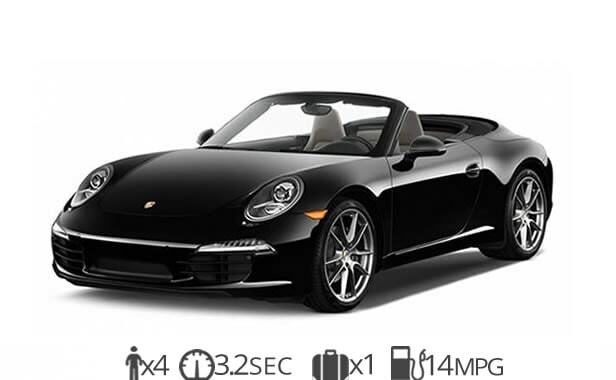 The Porsche 911 Cabriolet is an affordable exotic car rental that does not compromise quality or power. The 911 Cabriolet does an impressive 0-60 in just 3.4 seconds. Rent a Porsche 911 today and see why automotive aficionados rage about this car. We offer daily, weekend as well as monthly rental prices. As always Get FREE delivery anywhere in Miami. If you’re looking for an excellent convertible car rental this is it. The best American car rental in Miami is by far the Corvette Stingray. Chevy has been producing this beast for over 64 years. 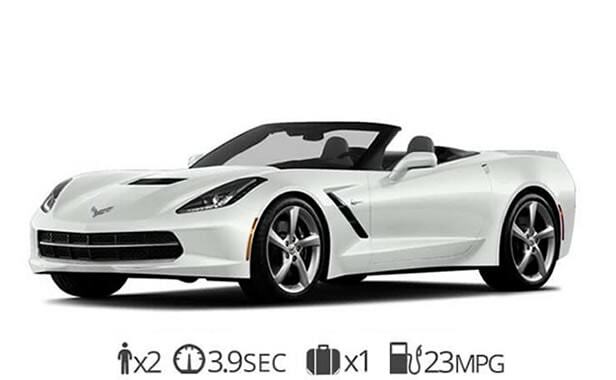 The Chevrolet Corvette convertible is a favorite among sports car enthusiasts. If you’re looking to rent the American muscle car of the future then give us call. It is the cheapest convertible car rental we offer while still providing a great experience for your next trip to Miami. It only seats 2 people but has a comfortable interior. Rent a Corvette in Miami today! Ready to rent an exotic convertible?